The snake raised its head three feet from where I stood, turning the roosters on the spit above the fire. A boy can run faster than a snake can slither. A brown snake can strike faster than a boy can move. Birrung had taught me that snakes sleep in the winter. This one must have just woken up. Hungry. Ready to bite. It’s early days for Sydney Town. Supplies are still short and the townspeople are still adjusting to life in Australia. Barney Bean is excited by the possibilities offered by the new colony but to take advantage of them, he needs money. An unexpected opportunity presents itself and he signs on as crew on one of the Third Fleet vessels, the Brittania. He is ready to make his fortune. Nothing could have prepared him for the realities of living at sea, hunting whales. He calls on everything he has learned from his friends, Elsie and Birrung, and from his mother so he can survive his three year contract. Author notes include information about the Third Fleet, about whaling and its role in the survival of the fledgling colony. 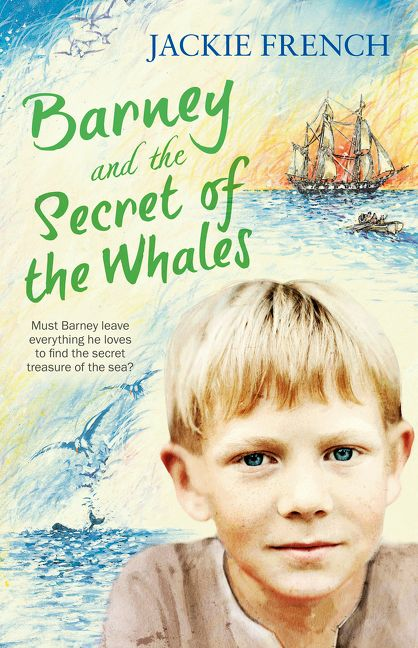 Barney and the Secret of the Whales is a second title in a new series from Jackie French about the very early days of Sydney Town. Readers first met Barney in ‘Birrung the Secret Friend’. The idea of ‘secrets’ is connected to stories that are untold, or less told and which form an integral part in the development of the colony. Barney has held his secret about whaling for a long time and only now has he decided to tell his story. Barney is bright and passionate and despite a tough start to his life, is determined to achieve independence and to look after his friend, Elsie. Barney and the Secret of the Whales offers a glimpse of childhood circa 1791 – it was a very different experience to contemporary childhood. Barney’s connection with the absent Birrung gives him a connection to Australia that few of the early residents shared. Recommended for mid-primary readers. I waited in the line outside the storehouse. Only two convicts were before me – big fellows with tattoos on their arms and dirty bare feet – waiting for their rations too. My tummy was so empty it couldn’t even gurgle. There was cheese in that storehouse. I wanted that cheese so bad I could already feel the maggots wriggling against my tongue. Ma used to say that maggots meant food was going bad, but when your tummy is empty, maggots are just extra food. I’d been eating maggots with my cheese for the two years we’d been here in New South Wales, and hadn’t even got a tummy ache. Not from the maggots anyways, Hunger ached worse than bad food. Barney is a young boy eking out an existence in the first days of Sydney’s settlement. His mother is dead and he’s caring for a girl he found in the days after his mother’s death. Sydney is a tough place and he’s constantly on his guard. Which is why, when he meets Birrung, Richard Johnson and his family, he is slow to trust. But gradually he settles into his new life, working hard and trying to decipher the mysteries around Birrung’s presence in the family. Mark Wilson’s fine drawings at the head of each chapter help to showcase aspects of the fledgling colony. Birrung the Secret Friend is the first in a new series from Jackie French. Truth, it is said, is stranger than fiction and it’s difficult to look back at the early days of white settlement in Australia and understand some of the peculiarities and beliefs. Told from the perspective of a young illiterate boy, Birrung the Secret Friend shows that education doesn’t guarantee any common sense. French’s Sydney is a tough place, full of thieves and those who cling to the ways of England. But for those who embrace the opportunities offered in Australia, who are prepared to work hard, there is much to be gained. Birrung the Secret Friend also paints a picture of relationships between settlers and ‘Indians’ (as Barney calls them). There is a sadness for what could have been a very different relationship between the two populations, and a theory for why this couldn’t be. A very readable story of childhood friendships in a long-ago Sydney. Recommended for mid-primary readers. Winding like a small black snake. A fire starts small but quickly grows, spreading across the landscape, lighting up the trees, the sky – and even houses. People flee as fire fighters battle to bring the monster under control. Afterwards, there is sorrow at the devastation, but there is also hope, as comfort is spread by friends and by strangers, and by signs of life returning. 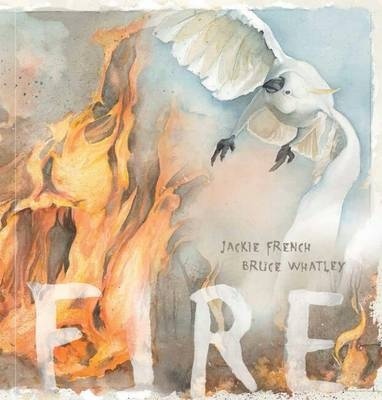 Fire is a wonderful picture book collaboration form the team which also produced Flood. Jackie French and Bruce Whatley. The rhyming text seems to echo the actions of the fire, taking the reader n a breathless journey through the smoke and ash and beyond to the gradual restoration of calm. The illustrations capture the mood of the fire, as well as the contrasting landscape before and after. A wonderful way to open up discussion about the impact of bushfire, both for those who have experienced it and those who haven’t. I may not have lost my legs, she thought, but I’ve lost those I love forever. The war had savaged Mum, and Mrs Mack, and every woman in the valley. The war was over but the pain was still there, for her and the families left behind, not just for the men who had been maimed. We’re all bits that the war didn’t take, Flinty thought, gazing at the stranger’s back. But those left behind had a right to know more about the beast who’d chewed their lives and spat the remnants out. It is 1919, and in the Snowy Mountains Flinty McAlpine is trying to hold her family together – what is left of her family, at least, since the Great War tore it apart. One of her brothers was killed in the war, and another is so scarred that he seems unable to stay at home. Her mother died, Flinty suspects of a broken heart, and her father too passed away, after contracting influenza brought home by returning troops. Flinty may be only 17, but she is now responsible for her two younger siblings and for the running of the farm and the paying of the bills. When Flinty meets a stranger in a wheelchair, she presumes he is another returned soldier – and he is – but somehow he is not from the Great War, but from a war far in her future, the Vietnam War. Just like Flinty’s brother, and Sandy, the man she loves, Nicholas is scarred by his war time experiences. They may be from different times, but somehow Flinty and Nicholas can see and hear each other, and it may be that they can help each other to heal. The Girl from Snowy River is a dramatic, heart warming story of survival. Flinty is faced with many challenges – the loss of her parents and brother, her strained relationship with Sandy, the financial stress of trying to keep hold of the family farm, and being a girl in a man’s world – but she also faces unexpected physical challenges, too. With reference and links to several famous Australian bush poems, The Girl from Snowy River is a wonderful celebration of the Snowy Mountain region as well as an exploration of the history of the time and issues of the impact of war, the role of women, family relationships and more. Each year on 25 April, the nation stops to remember. This is the history of that day. On April 25 1915 8000 Australian and New Zealand soldiers waded ashore on a Turkish beach, beginning a campaign which was ultimately unsuccessful in terms of the war, but which began a legend which has united Australians for almost 100 years. From that first Anzac Day to commemorations in the years that followed, and through to the ceremonies of today, and even beyond, this book traces the growth of the Anzac legend and the development of the day which now serves to remember not just the men who fought at Gallipoli, but all the men and women who have served the country in war, and all who have been affected by war. French handles the topic with a mix of straight fact, useful reminders about the importance of the day and raising of issues along the way. Because the book spans almost 100 years of history, it touches on many issues, including the contribution of Aboriginal soldiers, Vietnam War protests, conscription, and more. Some of these are issues which young readers may be unfamiliar, which offers opportunity both for education and for discussion. 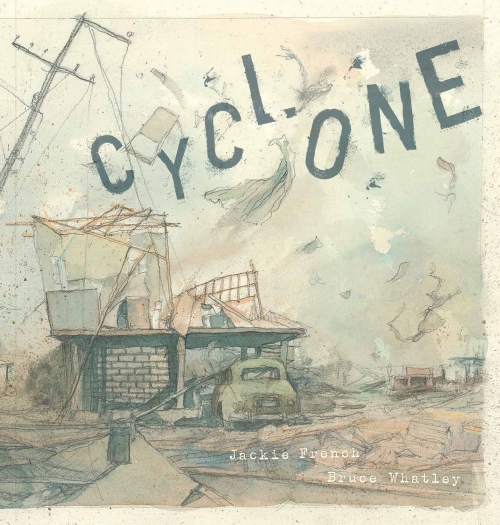 Illustrations, by Mark Wilson, use a variety of techniques, including pencil, ink and acrylic on canvas and on paper, and using in places images of historical documents, to reflect the varying time periods. Wilson includes scenes of war and battle, as well as of civilian faces and places, to give a broad image of Australia’s varied engagement in war. In doing so he gives an honest insight into a wide spectrum of issues and considerations, again giving food for thought and discussion. This is a useful teaching tool, but also deserves a place in home libraries, helping children to understand the significance of Anzac Day. It’s a tough old world when even your guinea pig thinks you’re boring. Leo sighed. He didn’t want to think about school on a Sunday afternoon. It’s a tough old world when even your guinea pig thinks you’re boring. But that’s Leo’s lot. He doesn’t really fit in at school. He’s not that interested in football, loves reading and can speak animal. Speak animal? Yes, animal. He knows what animals are saying and can respond. Not exactly the sort of skill that’s going to win points in the playground. But suddenly, classmate-who-hardly-speaks-to-anyone Mozz sends a skateboard riding robot gorilla to invite him over to her house. Suddenly life is about to get much more interesting. Not safe, not dull and boring, quite scary really, but interesting. She needs his help to help rescue some elephants from the threat of a tsunami. Jackie French takes animal rescue to a completely new place, with superfast jet travel, animal-talking and an apparently robotic gorilla. ‘Elephant Rescue’ is a wild romp across the world, with little time for any anxieties of a reluctant hero. Because although Leo gets involved in this adventure, and although he acknowledges it had to be done, he’s far from convinced he really wanted to be there. There are themes of conservation, and doing the right thing even if you’re not feeling all that brave. There is comedy in every character, from Leo’s food obsessed mother, to Mozz’s brilliant and eccentric inventor grandmother. An absolute hoot! 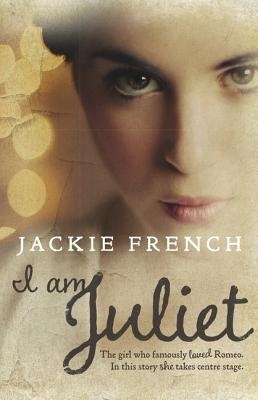 Recommended for confident independent readers, or perfect as a read-to. Leo can talk to animals. It’s a skill that’s could win friends at school, if no anyone believed you. But no one does. ‘Hshh-shoo!’ sneezed Mum. She stopped by the guinea pig cage and blew her nose. ‘Does she karate chop them instead?’ the guinea pig asked. Leo can talk to animals. It’s a skill that’s could win friends at school, if no anyone believed you. But no one does. Except Mozz and her grandmother. In his first jet-flight adventure, he and sort-of-friend Mozz helped rescue some elephants. This time, gorillas are in danger from man diseases and Mozz and Leo are going to vaccinate them. In their quest to vaccinate all the gorillas, they encounter more than they expect. They are in a race to outrun poachers, and then there’s the dilemma of what to do with a sick baby gorilla. Leo isn’t convinced that he should be anywhere near Africa or enormous gorillas but Mozz makes it difficult for him to refuse to help. ‘Animal Rescue: Gorilla Grab’ is the second in Jackie French’s new series of chapter books. It blends real life animal conservation issues with wayout inventions and talking animals. The action proceeds almost faster than Mozz’s jet. On one level, these are wild and whacky adventures, but there are also very clear conservation messages and themes about fitting in, finding your own specialness and surviving at school. Every main character in ‘Animal Rescue: Gorilla Grab’ has their own talent, their own wackiness. There is a warning at the back about the plight faced by the endangered Mountain Gorillas, and some factual information about them. Recommended for confident independent readers.